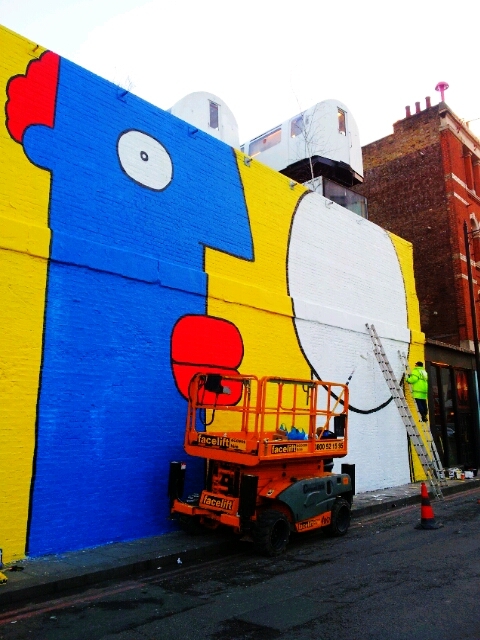 A collaboration between German street art Pioneer Thierry Noir and British icon Stik was the latest in a series of walls to be painted at the famous Village Underground. 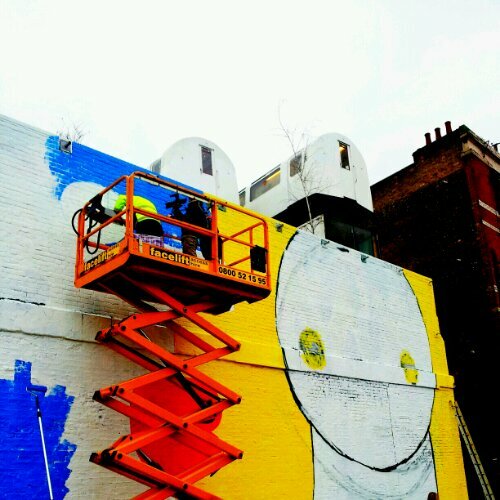 Following in the recent footsteps of Phlegm and Kid Acne, this new mural promises to stay up a bit longer but once again it will be a case of come and see it before it goes. The only thing for certain is that this wall gets painted all the time so don’t expect it to stay up for long. This piece is significant though. 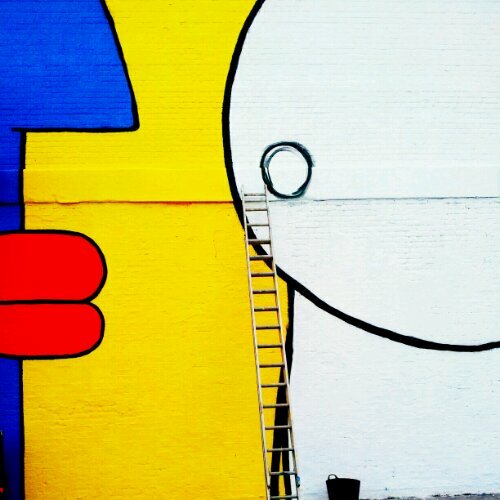 Noir became famous for painting the Berlin Wall. A man who choose art to mock the grey stones of communism. 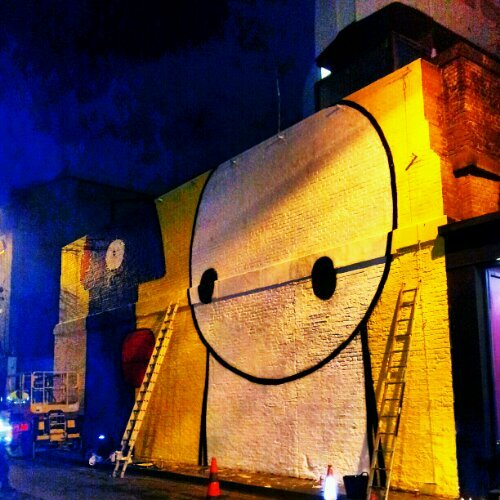 His bright cartoons appearing overnight to brighten up the wall despite the constant risk of arrest. 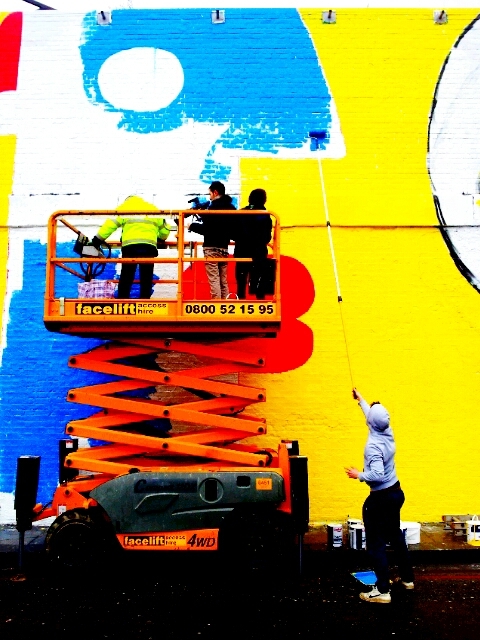 Stik has become a campaigner on homelessness and supporter of community charities. 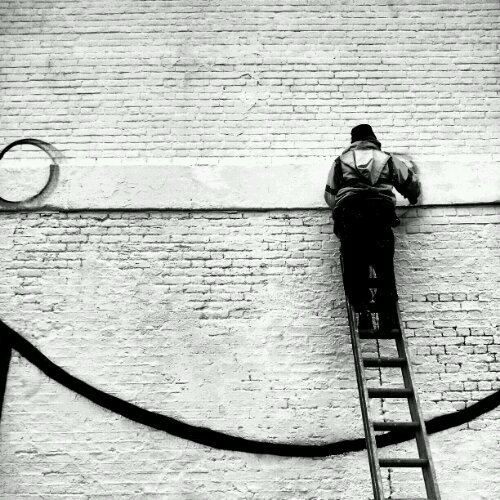 His playful stick shaped figures are innocent in their character and always enhance their surroundings. 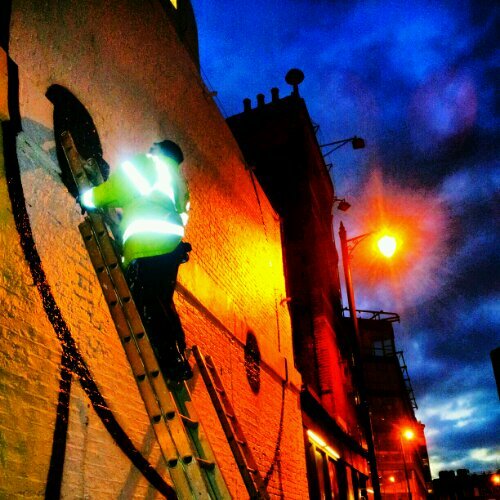 He has become one of the most recognisable artists on the street scene and has painted the world over. Brought together by Street Art London this collaboration certinaly shows ambition and the end result its impressive in its scale. 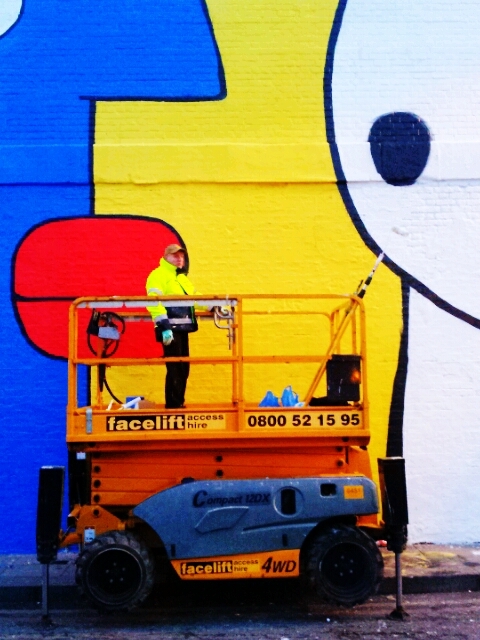 Thierry Noir is a welcome addition to Londons streets and Stik paints the sort of art that delights as soon as it is seen. cool! is this on holywell lane?